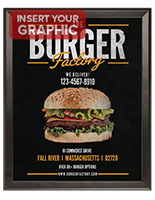 This Retail Sign Supply For Restaurant Menus is a Popular Space Saver! This Sign Supply Works Perfectly For Other Industry Sectors Too! SignSupplies2Go.com Stocks It Online! 12" x 24" 13" x 19" 16" x 20" 18" x 24" 20" x 30"
22" x 56" 24" x 36" 27" x 40" 27" x 41" 30" x 40" 36" x 48" 40" x 60"
This professional sign supply for wall menus is easy to put up, and our company includes the installation hardware. 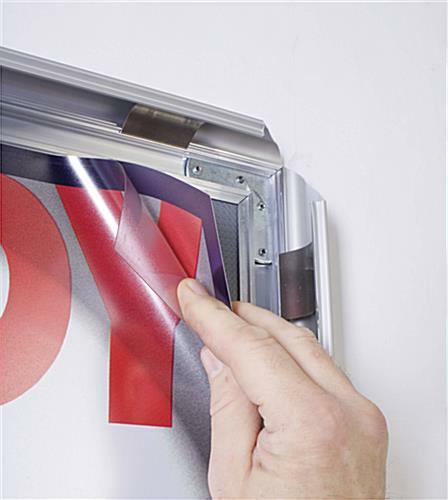 The inside edge of the frame conceals holes for use with the hardware. This sign supply ships individually in a packing container. 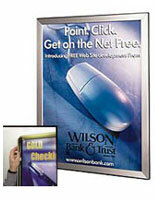 This poster holder, wall hanging display features a lift-up snap frame. 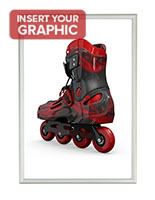 This design allows you to update your menus or other graphics without having to take the frame off the wall. 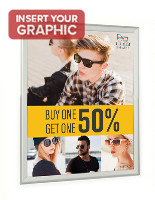 Just remove the frame, change the poster, and press the frame back into place over the new display. 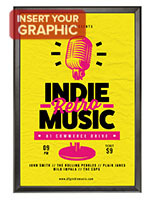 This sign supply frame uses top quality metal finished in a silvery matte look, a thin profile, a back panel to support the graphic on the frame's inside edge, and a non-reflective 22" x 28" lens cover. 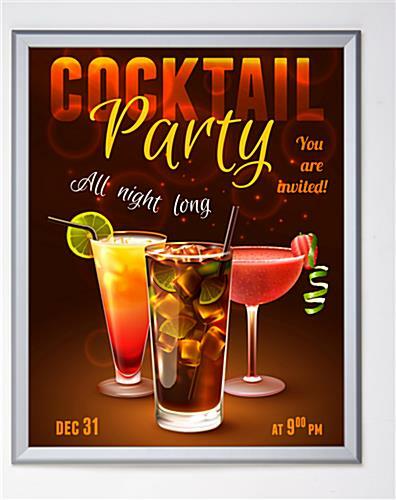 Display your menus or graphics in vertical dimensions of 22" wide x 28" high or horizontal measurements of 28" wide x 22" high. 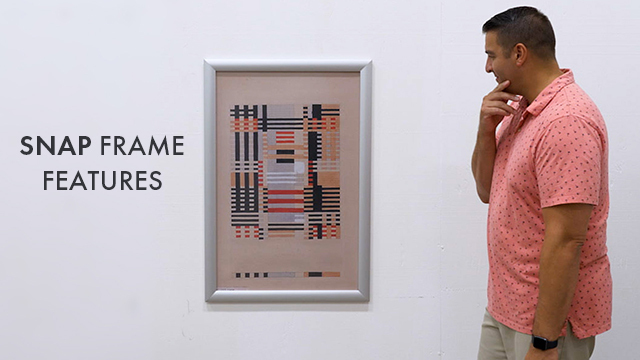 Please Note: Framing your artwork will produce a viewable space of about 21" by 27." The frame's edges create a 1/2" border over the contents. 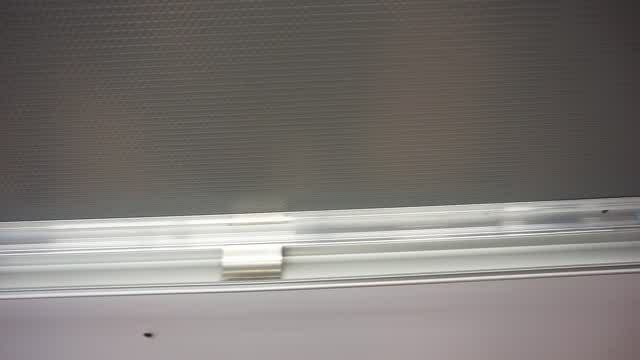 Click here for mounting instructions. 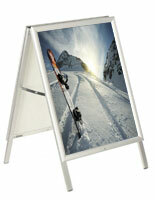 Overall frame dimensions: 23-3/4" x 29-3/4"